Undergraduate Chair, Religious Studies, 1977-81; 1982-83, 1997-2001. Vice Provost for University Life Search Committee, summer, 1995Humanities Panel, Research Foundation, 1989-92, 1993-95, chair, 1991-92. Co-Editor (with Richard Marsden) of The New Cambridge History of the Bible vol. 2, The Middle Ages, projected for 2009. 1. Paschasii Radberti, De partu Virginis, Corpus Christianorum, Series Latina, continuatio medievalis 56C (Turnhout, Belgium, 1985) (Latin). 2. Lucia Brocadelli da Narni, “Liber” (Seven Revelations) text and introduction in Archivum fratrum Praedicatorum LXXI (2001) 311-344 (with Maiju Lehmijoki-Gardner and Armando Maggi) (Italian). 3. Alberto Alfieri’s Ogdoas (1421), edition and translation with introduction, forthcoming in 2009 from Medieval and Renaissance Texts and Studies, Arizona State University, Tempe, Arizona (with Carla P. Weinberg) (Latin). Edition of Alcuin's De fide and other theological texts for the Corpus Christianorum series, Turnhout, Belgium (with Eric Knibbs) (Latin). Edition of Maria Domitilla Galluzzi, Vero lume sopra la regola di Santa Chiara, (Italian). 1. The Voice of My Beloved: The Song of Songs in Western Medieval Christianity (Philadelphia: University of Pennsylvania Press, 1990, paper edition, 1992). 2. Creative Women in Medieval and Early Modern Italy: A Religious and Artistic Renaissance, co-editor with John Coakley (Philadelphia: University of Pennsylvania Press, 1994). 3. The Liturgy of the Medieval Church, co-editor with Thomas Heffernan (Kalamazoo, MI: The Medieval Institute Press, for TEAMS, 2001; second revised edition, 2005). 4. Law and the Illicit in the Middle Ages (essays in honor of Edward M. Peters) co-editor with Ruth Karras and Joel Kaye (Philadelphia: University of Pennsylvania Press, 2008). 5. Mind Matters: Essays on Medieval Intellectual History in Honor of Marcia Colish co-editor with Cary Nederman and Nancy Van Deusen (Leiden: Brill, forthcoming, 2009). Monographic study of Suor Maria Domitilla Galluzzi (d. 1671), mystic author of the Capuchin community of Pavia, Italy. 1. "Factory Poems by Cornelia Noseda," Hurricane Alice (Summer/Fall, 1989) pp. 6-7 (edition and translation of worker poems in Comasco dialect). 2. Mariateresa Fumagalli Beonio-Brocchieri, “The Feminine Mind in Medieval Mysticism,” in Creative Women in Medieval and Early Modern Italy: A Religious and Artistic Renaissance (Philadelphia: University of Pennsylvania Press, 1994) pp. 19-33. 3. Grazia Deledda, La chiesa della solitudine (1936), in the Women Writers in Translation Series, SUNY Press, as The Church of Solitude, with Afterword (2002). 6. Lucia Brocadelli da Narni, “Revelationes” (Seven Revelations) for Dominican Penitent Women, ed. Maiju Lehmijoki-Gardner (New York: Paulist Press, 2005) pp. 212-243. "The Virgin Mary: A Goddess?" in The Book of the Goddess Past and Present, ed. Carl Olson (New York: Crossroad, 1983) pp. 80-96; reprinted, 2000..
Reprinted in Weaving the Visions: New Patterns in Feminist Spirituality, ed. Judith Plaskow and Carol P. Christ (San Francisco: Harper and Row, 1989) pp. 51-62; and in The Boswell Thesis: Essays on Christianity, Social Tolerance, and Homosexuality, ed. Matthew Kuefler (Chicago: University of Chicago Press, 2006) pp. pp. 152-166. “Christ, God, and Woman in the Thought of St. Augustine,” in Augustine and His Critics: Essays in Honor of Gerald Bonner, ed. Robert Dodaro and George Lawless (London: Routledge, 2000) pp. 164-175. “Barnabas Redux: The Medieval Fortunes of a Latin Apocryphon,” in A Multiform Heritage: Studies in Early Judaism and Christianity in Honor of Robert A. Kraft, ed. Benjamin G. Wright (Atlanta: Scholar’s Press, 2000) pp. 263-274. “Biblical Co(n)texts and Twentieth-Century Fiction: Three Models,” in Testi e Co(n)testi ed. Carla Locatelli (Trent, Italy: University of Trent Press, 2000) pp. 107-129. “Le Rivelazioni di Lucia Brocadelli da Narni,” Bollettino della Società Pavese di Storia Patria 100 (2000) (with Armando Maggi, Maiju Lehmijoki-Gardner, Gabriella Zarri) pp. 173-199. (in Italian). “Preface” for Maria Maddalena de’ Pazzi: Selected Revelations, trans. Armando Maggi in the series The Classics of Western Spirituality (New York: Paulist Press, 2000) pp. 1-4. “Habemus Corpus: Women's Embodiment, Feminist Spirituality, and Catholic Theology: An Essay in Memory of Kevin Gordon,” Theology & Sexuality 14 (2001) 43-58. "The Manuscripts of the Liturgy,” with Jeanne Krochalis, in The Medieval Liturgy: Essays for Teachers, edited by Thomas Heffernan and E. Ann Matter (Kalamazoo, MI: The Medieval Institute Press, for TEAMS, 2001) pp. 433-472. Apocalyptic, Representation, Politics" Religion (2001) pp. 125-153. “Theories of the Passions and the Ecstasies of Late Medieval Women,” in Essays in Medieval Studies 18 (2001) ed. Allen J. Frantzen, pp. 1-16, reprinted in Women’s Emotions in the Middle Ages, ed. 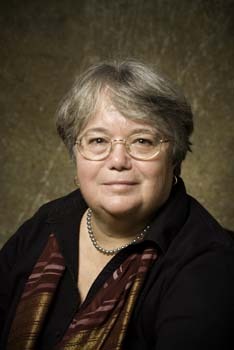 Lisa Perfetti (Tallahassee: University Press of Florida, 2005) pp. 23-42. “Exegesis of the Apocalypse in the Early Middle Ages,” in The Year 1000, ed. Michael Frassetto (New York: Palgrave, 2002) pp. 29-40. “The Undebated Debate: Gender and the Image of God in Medieval Theology” for Gender in Debate, ed. Clare Lees and Thelma Fenster (New York: Palgrave, 2002) pp. 41-55. “The Bible in Early Medieval Saints’ Lives,” for The Bible in the Early Middle Ages, ed. Celia Chazele and Burton Van Name Edwards (Turnholt: Brepols, 2003) pp. 155-165. “Bible and Rule in the Clarissan Tradition,” Magistra: A Journal of Women’s Spirituality in History, pp. 77-83. “Lourdes: A Pilgrim After All,” Spiritus: A Journal of Christian Spirituality 3 (2003) 68-85. “Marcia Colish, Intellectual Historian, 1937-“ for Women Medievalists in the Academy, ed. Jane Chance (University of Michigan Press, 2005) pp. “The Canon of the Religious Life: Maria Domitilla Galluzzi and the Rule of St Clare of Assisi,” Strong Voices, Weak History ed. Victorian Kirkham and Pamela Benson (Ann Arbor: University of Michigan Press, 2005) pp. 78-98. “Le Cappuccine di Pavia: povertà, potere, e patrocinio,” for I monasteri femminili come centri di cultura fra Rinascimento e Barocco, ed. Gianna Pomata and Gabriella Zarri (Rome: Edizioni di Storia e Letteratura, 2005) pp. 313-330. “De cura feminarum: Augustine the Bishop, North African Women, and the Development of a Theology of Female Nature,” Augustinian Studies 36 (2005) 87-98. “Religious Dissidence and the Bible in Sixteenth-Century Italy: The Idiosyncratic Bible of Lucia Brocadelli da Narni,” for Scripture and Pluralism: Reading the Bible in the Religiously Plural Worlds of the MiddleAges and Renaissance, ed. Thomas J. Heffernan and Thomas E. Burman (Leiden: Brill, 2005) pp. 193-207. “Introduction” to Anne Catherine Emmerich, The Dolorous Passion of Our Lord Jesus Christ Library of Essential Reading Series, (New York: Barnes and Noble, 2006) pp. xi-xxiii. "Teaching Virtue from the Ignoble Nobility: Alberto Alfieri's Ogdoas (1421)," in Medieval Paradigms: Essays in Honor of Jeremy Duquesnay Adams, ed. Stephanie Hayes-Healy (New York: Palgrave Macmillan, 2005) vol. 1 pp. 231-247. “Dissenso religioso e uso della Bibbia nell’Italia del XVI secolo: la Bibbia idiosincratica di Lucia Broccadelli da Narni,” Archivio italiano per la storia della pietà 18 (2005) 249-264. *“The Soul of the Dog-Man: Ratramnus of Corbie Between Theology and Philosophy,” Rivista di storia della filosofia n.s. 61 (2006) 43-53. *The Legacy of the School of Auxerre: Glossed Bibles, School Rhetoric, and the Universal Gilbert,” Temas Medievales 14 (Buenos Aeres, 2006) 85-98. “The Love Song of the Millennium: Medieval Christian Apocalyptic and the Song of Songs,” in Scrolls of Love: Ruth and the Song of Songs, ed. Peter D. Hawkins and Lesleigh Cushing Stahlberg (New York: Fordham University Press, 2006) pp. 228-243. “Haimo’s commentary on the Song of Songs and the Traditions of the Carolingian Schools,” in Etudes d’exegèse carolingienne: autour d’Haymon d’Auxerre. Atelier de recherces Centre d’Etudes medievales d’Auxerre, ed. Sumi Shimahara (Turnhout: Brepols, 2007) pp. 89-101. (with Celia Chazelle and James J. O’Donnell) Memoir for “Jaroslav J. Pelikan,” Speculum 82 (2007) 819-821. “Petrarch’s Psalmi penitentiales,” for The Panoptical Petrarch, ed. Victoria Kirkham and Armando Maggi (Chicago: University of Chicago Press, forthcoming). Italy Review Chapter for The Yale Guide to Medieval Holy Women in the Christian Tradition, Twelfth through Fifteenth Centuries, ed. Alistair Minnis and Rosamond Voaden (New Haven: Yale University Press, forthcoming). P. Renée Baernstein, A Convent Tale: A Century of Sisterhood in Spanish Milan (New York: Routledge, 2002) for The Journal of Modern History, 77 (2005) 219-221. Gerald O’Collins and Mario Farrugia, Catholicism: The Story of Catholic Christianity (Oxford: Oxford University Press, 2003) for European History Quarterly 35 (2005) 506-507. Danilo Zardin, ed. Federico Borromeo vescovo: Atti delle Giornate di studio. 22-23 novembre, 2002. Studia Borromaica 17 (Milan: Biblioteca Ambrosiana, 2003) for The Sixteenth Century Journal: The Journal of Early Modern Studies 37 (2006) 767-769. Jean Rittmueller, ed. Liber questionum in euangeliis, Corpus Christianorum, Series Latina, 108F, Scrptores Celtigenae 5 (Turnhout: Brepols, 2003) for Peritia 21 (Cork, 2007) 380-383. F. Thomas Luongo, The Saintly Politics of Catherine of Siena (Ithaca: Cornell University Press, 2006) for Speculum 82 (2007) 211-212. Helen Hills, Invisible City: The Architechture of Devbotion in Seventeenth-Century Neapolitan Convents (Oxford: Oxford University Press, 2004) for Journal of Modern History 79 (2007) 447-449. Silvia Evangelisti, Nuns: A History of Convent Life (Oxford: Oxford University Press, 2007) for America (July 30-August 6, 2007) 30-31. *"De cura feminarum: Augustine the Bishop, North African Women, and the Development of a Theology of Female Nature," for Reconsiderations: A Conference on Contemporary Augustinian Scholarship, Villanova University, December, 2003; University of Pittsburgh, January, 2005. *”The Study of the Bible in the Middle Ages: Where are We and Where do We Go From Here?” Harvard University (Committee on Medieval Studies and Divinity School), March, 2004. * The Bible in the Center: Medieval Exegesis and Medieval Studies in the Twenty-First Century,” keynote address for the annual meeting of the Medieval Academy of America, Seattle, Washington, March, 2004. *”The Spiritual Dialogues of Chiara Margherita Cozzolani,” Annual Catholic Studies Lecture at Saint Ambrose University, Davenport, Iowa, April, 2004. “Petrarch’s Penitential Psalms,” for conference The Complete Petrarch, University of Pennsylvania, April, 2004. *”Early Medieval Orthodoxy and Deviance,” for conference of contributors to The Cambridge History of Christianity, vol. 2, The Early Middle Ages, ed. Thomas F. X. Noble and Julia Smith, at University of Notre Dame, September, 2004. *”Alcuin’s Theology,” for conference Alkuin von York (um 730-803), Stitsbibilothek Sankt Gallen, Switzerland, September 30 -October 2, 2004. “What Was the Medieval Bible?” at Department of Religious Studies, University of California at Santa Barbara, March, 2005. “Haymo’s Commentary on the Song of Songs and the Traditions of the Carolingian Schools,” for “Haymon d’Auxerre (fl. 840-860) Atelier de recherché,” Auxerre, France, April, 2005. “Women’s Monasticism: Community and Spirituality, ” Session in Honor of JoAnn McNamara, Medieval Congress, Kalamazoo, MI May, 2005. “Happy Birthday Ben and Bob: Homage to Ben Franklin (1/17/1706) and Bob Matter (1/17/1917)” for “7 Up on Benjamin Franklin,” Kelley Writer's House January 17, 2006. "Word and Image in the Medieval Latin Bible," for the Word and Image Mellon Seminar, Penn Humanities Forum, April 19, 2006. "Mary Martin McLaughlin In Review," panel presentation at the Medieval Congress, Kalamazoo, Michigan, May, 2006. "Il Cantico materiale: il testo latino della Glossa ordinaria alla Biblia paupera," Conference "Il Cantico dei Cantici nel Medioevo," Gargnano sul Garda, Italy, co-sponsored by S.I.S.M.E.L. (Certosa del Galluszzo, Florence)and l'Universita' degli Studi di Milano, May 24, 2006. "Lamenting Monks: Medieval Commentaries on Lamentations," Session on Medieval Emotions, International Congress on Medieval Studies, Leeds, UK, July 11, 2006. "The Legacy of the School of Auxerre: Glossed Bibles, School Rhetoric, and the Universal Gilbert," Yale University Medieval Studies Program, September 28, 2006. "The Material Unfolding of Time: Hildegard of Bingen's Edifice of Salvation." Haverford College, October 25, 2006. "The Medieval Latin Bible," Southern Connecticut University Medieval Studies Conference, November 11, 2006. "Solidarity," Conference on Public Service and the Law, University of Virginia School of Law, February 17, 2007. “L’Autobiografia di Lucia da Narni, una santa viva alla corte degli estensi,” Conference “Il movimento domenicano al femminile: storia, figure, istituzioni” San Domenico, Bologna, October, 2007.